New Ideas: Where to for Turkey? March 30, 2017 (SSNA) — Turkey’s relations with the European Union (EU) are observed not only in Europe, Africa, and Turkey but the entire Arab/Muslim world has become attentive to what has been presumed a developing affiliation. Turkey’s eligibility for EU membership has been substantiated collectively by EU leaders in 1989, 1999, and 2004. However, for cultural reasons some European leaders such as German Chancellor Angela Merkel and the French president have reservations regarding full membership.Modern relations of Turks and Arabs originate at the end of the ﬁrst world war. Mustafa Kemal Ataturk oriented Turkey toward the west with a push of new laws dragging the nation away from its long presumed natural place. He founded the modern Republic of Turkey. After World War II, Turkey became a member of the North Atlantic Treaty Organization (NATO) and aided allied efforts in the Korean War. 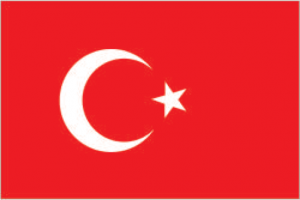 Modern relations of Turks and Arabs originate at the end of the ﬁrst world war. Mustafa Kemal Ataturk oriented Turkey toward the west with a push of new laws dragging the nation away from its long presumed natural place. He founded the modern Republic of Turkey. After World War II, Turkey became a member of the North Atlantic Treaty Organization (NATO) and aided allied efforts in the Korean War. However, in 2002 a U-turn came with the onset of the Justice and Development Party (AKP) fostering closer relations with Arab countries. The strong leadership of the Prime Minister, Rajab Erdogan, has gathered support within the Arab world on a variety of issues. Western observers view the AKP as an Islamist party which considers the EU is an entirely western and Christian club working against the Arab Islamist world. Some European observers, want Turkey in the EU. Membership would be a golden opportunity for westernization of the nation. Islamist Arabs fear that membership would force Turks to accept Christian and western culture. They applauded a rise to power by the Islamist, the late Necmetan Erbakan and the Welfare Party in 1996 hoping it marked the end of the European vision and Turkey’s return to Islamic culture. Erkban’s friends in the AKP claimed that there was no disagreement of the nation’s Islamic character and the quest for EU membership. They maintained that growing democracy and human rights development would allow Islamic communities to harvest benefits. Rejection of Turkish membership in the EU will conform the Arab view that the EU is a Christian club unwilling to dialogue with the Islamic world and the east. Turkey’s arguments for membership convince me that Islam and democracy are companionable. The author may be reached via email address: dhano02obongo@gmail.com.